Volvo have really done it this time. 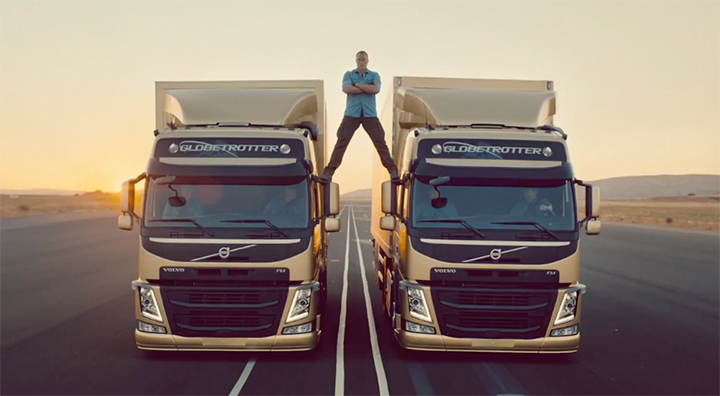 In order to promote their new FMX Truck, Volvo decided to show rather than tell and came up with a series of impressive challenges. In order to demonstrate the robustness of the Volvo truck towing hook, Claes Nilsson, the company’s actual president, stood on top of a suspended 15 tonne Volvo Truck, 20 metres above the water in Gothenburg harbour telling us the key ingredients to make a video go viral on youtube. It actually worked, the video has today more than 2 million views on youtube! That video was only the first teaser in a series of similarly daring stunts. The second video was the one in which Roland Svensson a technician at Volvo trucks demonstrates how much ground clearance the truck has. I think this video is completely fake. What do you guys think? The third video demonstrates how easy the dynamic steering wheel of the new Volvo FMX Truck is to steer. To do it, Volvo came up with this EPICally impressive challenge, let a hamster steer it. 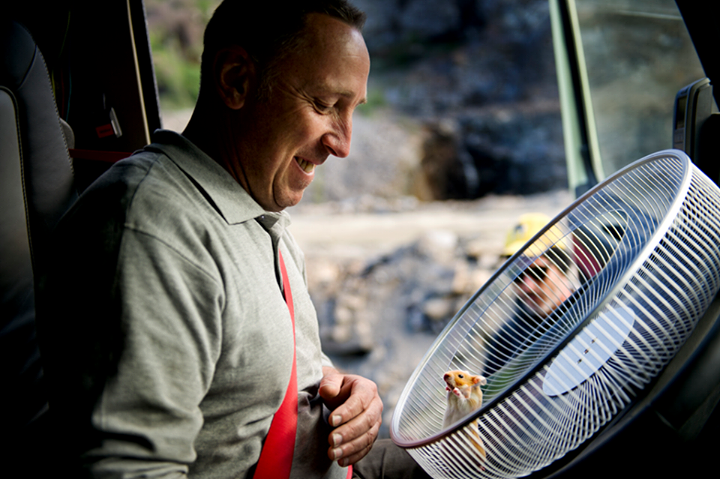 You wouldn’t believe me but Charlie, the 175 g hamster, was able to steers a 15 tonne Volvo FMX! Ill keep on updating you guys once the new challenges are released. Volvo Trucks I salute you!! Impressive campaign so far! [updated] The epicness continues with that crazy commercial; Volvo painted one of their trucks in red and went for a run with the bulls in the streets of Spain. The truck is so agile and easy to drive that it went through the narrow streets with no problem whatsoever outrunning those mad Spanish animals. Volvo Trucks are on fire!! 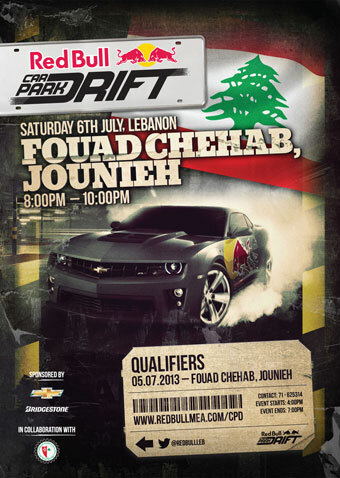 [Updated] Get ready people, the most amazing event of the year, The RedBull Car Park Drift is happening this Saturday in Lebanon, at the Fouad Chehab Stadium in Jounieh. It’s a huge and pure drifting event in which finalists will be selected with regards to the amount of smoke generated by the car, its noise, its beauty and the length of the drift. Since RedBull is one of the most amazing brands I have ever encountered, they contacted me last week to let me know that I would be riding with the craziest, Guinness World Record holder (check the video below) and most famous Lebanese Rally driver, Abdo Feghali a.k.a. Dado. The tour was gonna take place during the qualifiers on Friday July 5, around the Fouad Chehab stadium in Jounieh. Like this wasn’t enough, RedBull gave me a media pass so I can take the best pictures and videos of the event. A dream that was just too good to be true. Last Saturday I was partying when a discoball fell out of nowhere on my head. 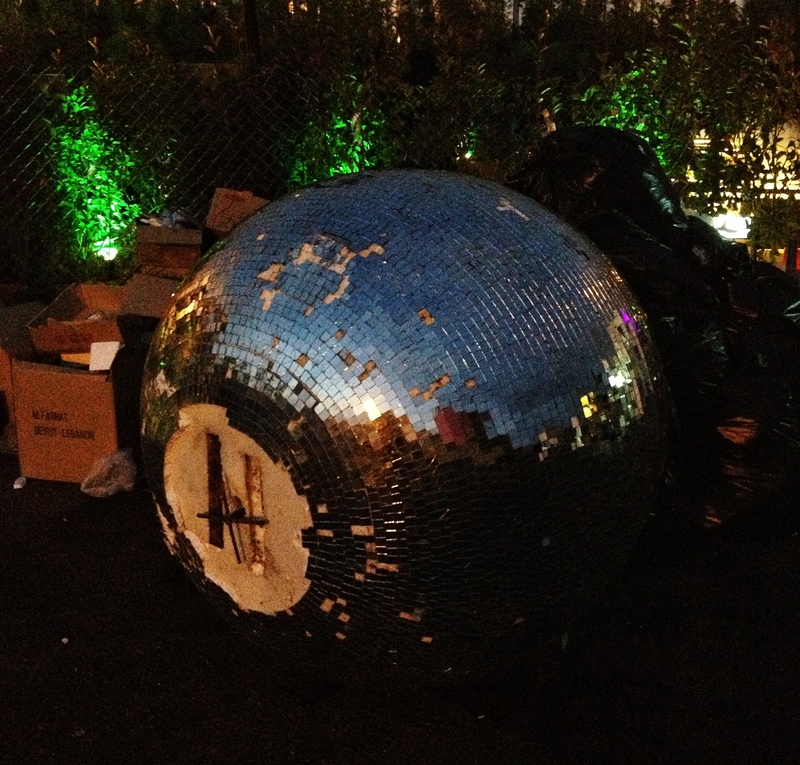 The discoball was 1,6 meters in diameter and fell from a distance of 7,5 meters. It not only broke 2 of my neck’s vertebrae, but also my dream of riding shotgun with Dado. I have a collar around the neck that I am not aloud to remove for the next month a half. So RedBull, I wanna first of all thank you so much for the opportunity you gave me and second of all apologies cause I won’t be able to attend the event 😦 Hope you guys enjoy it!! 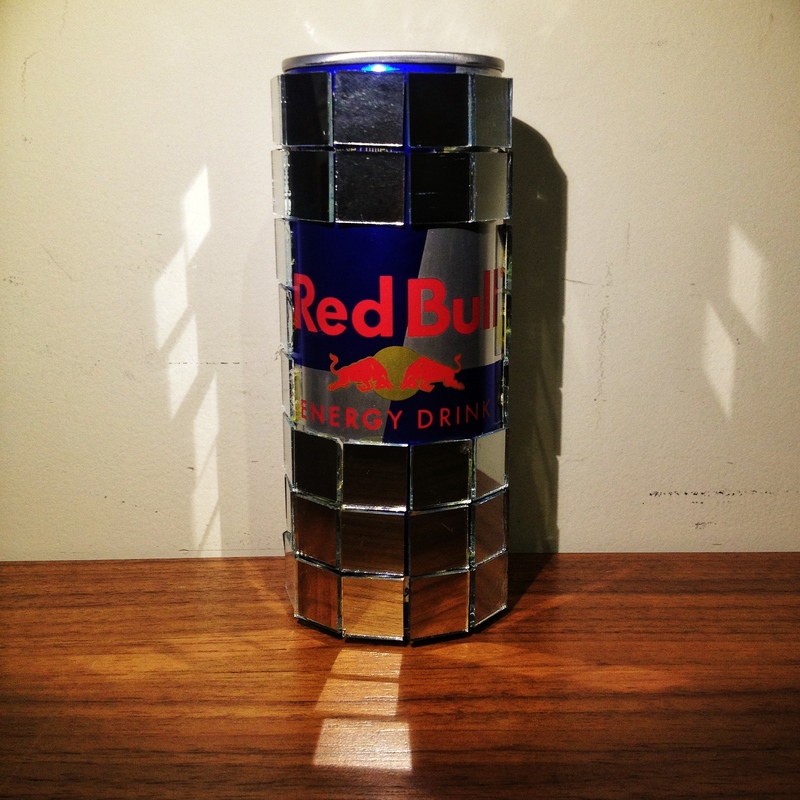 [Updated] So you might ask yourself what was the response of RedBull to that incident. The answer: A super unique, custom made DiscoRedBull!! How awesome is that?! After a long and deserved vacation TheAdsGarage is back! 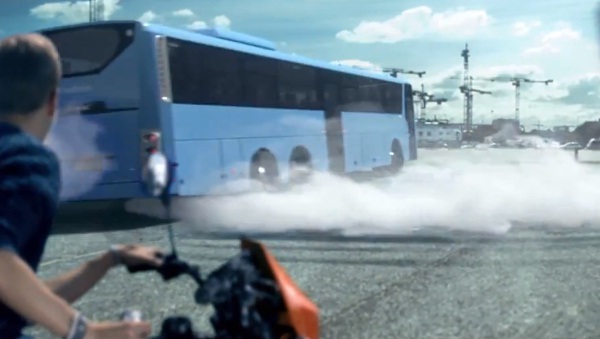 Not with a super or hyper or concept car commercial as you would expect, but with a Bus commercial. Honestly it’s the first bus commercial I have seen in my life. Midttrafik (danish bus company) with it’s “It’s Cool” campaign is encouraging everyone and specially youngsters to take the bus by promoting all it’s advantages. The idea is cool, the commercial is cool, the people in it are cool; cool commercial! The SRX is the new luxury SUV by Cadillac. This new 2012 model features a 3.6 liter V6 that delivers 308hp and 265lb-ft of torque which replaces both the 3.0 V6 and the 2.8 turbocharged V6. I really like the new body design, modern while keeping the Cadillac spirit. I specially like the back stop lights at the back. Is the footage of the ad really taken in Lebanon? I noticed that at 0:16 there is a sign showing “Faraya-Mzaar 2465m”. Faraya-Mzaar is the premier Lebanon ski resort and is a very frequented destination in summer. In the ad, the road, is a mountain road but it has nothing to do with Lebanon. It is definitely not the road to Faraya-Mazaar, it is actually the road to Pikes-Peak in the United States of America which is located at 14,110ft. (which you can see at 0:16 of the second video). This second video was posted by Cadillac on youtube about a year ago. What CadillacArabia did here is take the footage that was filmed in the United States of America by Cadillac and adapt it into the middle-east by simply changing the sign on the road. Well there is technically no plagiarism here since both ads are for, and from Cadillac but some creativity wouldn’t harm anyone!! And believe me Lebanese know there roads by heart and specially the ones leading to Faraya-Mzaar. So just changing the sign isn’t gonna work. I find that very lame specially coming out of such a big company.